HEN for PSP3000 – Next Week ??? All eyes are now turned on the MForMature forums where Davee announced that 1) he is in possession of a new Kernel exploit, 2) he is working on a HEN, 3) he plans to confirm the release early next week. I can’t believe how fast this is going, I’m so glad I was a part of all this (not the kernel exploit, but the whole crazyness of these days :) ), I’m going to bathe in champagne or something. Hot off the presses! Get your copy here! brkirch has just released Gecko 1.8 the successor to the Gecko OS. 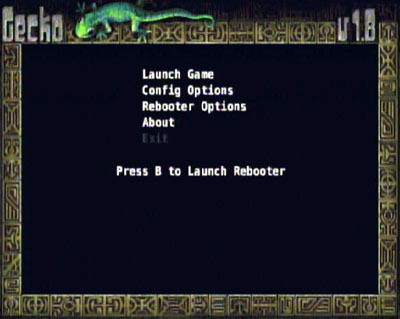 This unofficial build has been approved by the people responsible for the USB Gecko Nintendo Wii hacking/cheat code device. It has a lot of new features and a new GUI. Yes, Marcan has shifted his attention to things non-Wii related. I can hardly blame him; the only reason any of us do what we do is because we find it fun, so when it stops being fun — what’s the point? He’s still around, if you know where to look, and I hope that once we release BootMii, we’ll see some neat projects emerge from it. Yes, BootMii is still alive; I still can’t promise a release date, but most of the code has been written and we’re now to the point of testing it out and adding some polish. It’s been installed on about 12 Wiis so far and nobody’s been bricked; I hope that we can release a “public beta” within the next couple of weeks. (In this case, “public beta” will mean “we’ve tested this out quite a bit and are fairly confident that you won’t regret trying it, but not everything is finished and we can’t make too many promises). I would expect those of you who have older Wiis (i.e. 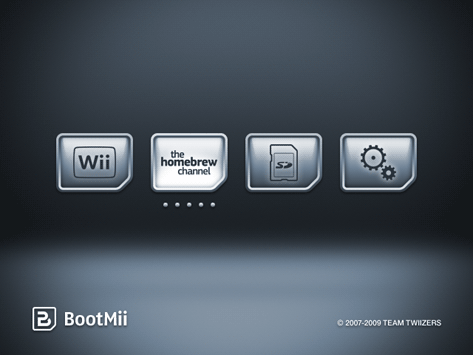 those who have a vulnerable boot1) to have an easier time installing it, but we intend to eventually add support for as many of your Wiis as possible.